Dr. Gerald Thomson is the Lambert and Sonneborn Professor of Medicine Emeritus and senior associate dean emeritus at the Columbia University College of Physicians and Surgeons. He was born in New York City and attended Queens College and the Howard University College of Medicine. Following a residency and fellowship in nephrology (a branch of medicine concerned with the kidneys) at the State University Downstate Medical Center-Kings County Hospital in Brooklyn, New York, Dr. Thomson remained on the faculty there and helped establish and direct one of the nation’s earliest and largest maintenance hemodialysis units. 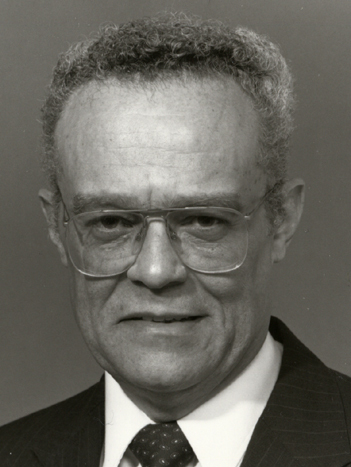 Dr. Thomson joined the Columbia faculty in 1970. He was director of medicine at the Columbia-affiliated Harlem Hospital Center from 1971 to 1985. During that period, he trained and mentored hundreds of residents in medicine. Dr. Thomson also established innovative hypertension detection and treatment programs and served on and chaired numerous advisory committees on hypertension for the National Institutes of Health and the New York Heart Association. From 1985 to 1990 Dr. Thomson was chief of staff and executive vice president of the Columbia-Presbyterian Medical Center. During that time, he helped guide the medical center through construction of new pavilions and the establishment of an extensive ambulatory care network. Dr. Thomson was senior associate dean at the Columbia College of Physicians and Surgeons from 1990-2002. Dr. Thomson has been honored with two endowed chairs. He became professor of medicine at Columbia University in 1972, was named the Samuel Lambert Professor in 1980, and in 1997 was awarded a second chair as the Robert Sonneborn Professor. He received the 2002 Columbia University President’s Award for outstanding teaching and was designated as an Honorary Fellow of the Medical College of South Africa in 1996. In 2015 Columbia honored him again with the inaugural Kenneth A. Forde Diversity Alliance Lifetime Achievement Award. Dr. Thomson is the co-founder and past president of the New York Society of Nephrology, the Society of Urban Physicians, and the Association of Academic Minority Physicians. He is presently chairman of the Board of the Institute on Professionalism in Medicine at Columbia and a member of the Board of the Physicians for Human Rights in Boston. Dr. Thomson was chairman of the American Board of Internal Medicine from 1991-1992. He was the first African American to hold that position. In 1995-1996, Dr. Thomson was president of the American College of Physicians, the nation’s largest specialty organization with over 110,000 members. He was the first African American president in the 85-year history of the organization. Dr. Thomson was elected to the Institute of Medicine (As of July 1, 2015, the National Academy of Medicine) in 1996. He chaired the Institute of Medicine Committee to Review the National Institutes of Health Strategic Plan to Reduce and Ultimately Eliminate Health Disparities, which published a report in 2006.